The Timor Post has staff members who have been in constant fear for their lives since last year, when two of them were attacked and left for dead right outside their rundown office. Then again, other journalists in this young nation have had similar experiences. WHAT has been described as East Timors leading independent daily operates out of four small rooms and has a budget that threatens to disappear altogether every day. The Timor Post also has staff members who have been in constant fear for their lives since last year, when two of them were attacked and left for dead right outside their rundown office. Then again, other journalists in this young nation have had similar experiences. Last August, another major newspaper had its office windows smashed while one of its employees was struck repeatedly with rocks and sticks and his motorcycle trashed after he acknowledged that he worked for the paper. Ideally, this should not be happening in the worlds youngest democracy, which at one point had also been called by then United Nations Secretary General Kofi Annan as "a child of the international community." But as the media in other Southeast Asian nations have found out, keeping the press free is a constant battle that is fought daily  even in a supposed democracy. Just last week, for instance, about 50 journalists covering a coup attempt were handcuffed with plastic luggage fasteners and hauled off for questioning by Philippine authorities. As of June 2007, the Philippines has also seen some 90 media practitioners killed in the line of duty since democracy was restored in 1986, according to the National Union of Journalists of the Philippines (NUJP). Fifty-three of the killings, adds the NUJP, took place under the administration of President Gloria Macapagal-Arroyo. Indonesia had occupied East Timor in 1975 and ruled it mainly through its armed forces. In August 1999, however, the Timorese voted for independence from Indonesia. That change was recognised by the international community in May 2002. For sure the media here had expected press freedom to come with democracy. Instead, local journalists seem to have been under siege since East Timor  now also known as Timor Leste  broke free from Indonesia, with the most serious setbacks to press freedom taking place during last years tumult that nearly split the country in half. Nobel Prize laureate and current Timor Leste President Jose Ramos-Horta maintains, "Timor Leste still has the freest media in Southeast Asia." Indeed, East Timor has ratified the major international human rights conventions that guarantee freedoms of speech and the press, and has even incorporated these rights into East Timorese jurisprudence. Yet Virgilio da Silva Guterres, chairperson of the Timor Lorosae Journalists Association (AJTL), says that although there is no comprehensive survey yet of attacks on members of East Timors media, unverified reports of journalists being harassed or assaulted trickle in all the time. He cites the case of an attack on a journalist covering the campaign in the first round of presidential elections earlier this year, and notes, "He had to stay in the hospital for three days due the injuries he sustained." AJTL estimates that there are about 200 media practitioners in Timor Leste today. There are three major dailies and two weeklies, along with two magazines, one of which caters mostly to the youth. About 80 percent of these publications are at least partially dependent on funding from international development agencies. "The public is still not well-educated in the role of the media in the society, which is why support in the community remains weak," says Guterres. He adds that there is a need for "extensive civic education" for the public so that people would realise "that their basic human rights include the right to information and that it is the duty of the media to inform." Guterres and the rest of the countrys media hope, though, that there would be no repeat of the events of 2006 that even led to the shutdown of the local papers for almost a month. In May last year, the home of Timor Post editor-in-chief Jose Ximenes was also burned to the ground, as were those of two Post reporters, Domingos Freitas and Mouzinho Lopes de Araujo. The incidents were among those that prompted the International Federation of Journalists (IFJ) to officially express its concern over how Timorese journalists were becoming internally displaced persons because their houses were being torched. Freitas had the added misfortune of being one of the two Post employees who were beaten savagely right in front of the papers office a few weeks later. He had been on his way home to a refugee resettlement camp where he had taken his family after they lost their home. De Araujo says the burning of their houses and the attacks on Post employees had something to do with articles they published that were critical to the government of then Prime Minister Mari Alkatiri. 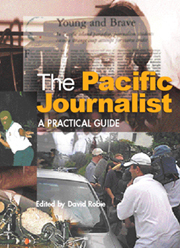 The former premiers party is also being blamed for more recent attacks on journalists. Last May, a few days after he was sworn in as East Timors new president, Ramos-Horta was asked by this writer about the kind of guarantees and protection he would be extending to local journalists. He replied, "Timor Leste will honor all conventions and international treaties it has signed." He then went on to propose "government subsidies to privately owned newspapers," although he said that this would "not be attached to preconditions that could affect the independence of the media." Ramos-Horta is widely respected in East Timor and in the international community. But his assurances about protecting the countrys media are apparently cold comfort to journalists here. Freitas, for instance, has chosen not to file a court case against his attackers, believing that East Timors still frail judicial system will only let him down and expose him to more risks. "I do not think the Tribunal could resolve my problem," he says. "I think it will only aggravate the situation. Filing a case would only encourage even more retaliation." Freitas may be thinking of his colleague who was attacked alongside him and later filed a case in court. Up to now, though, the case has not moved, even as Freitass co-worker receives anonymous threats against him and his family. Freitas himself has opted to seek the help of a community elder to mediate between him and his attackers whom he says he can identify one by one. "I am not so sure about justice," he says. "I only want an apology." In the meantime, a new anti-defamation law has become yet another worry for Timorese journalists. Deliberate misapplication of the law is a concern. The legal framework is one of our biggest problems at the moment, points out Guterres. The stipulations of the law make it vulnerable to abuse by corrupt politicians. He also says that some reporters are already beginning to hesitate about writing critical stories. Observers have noted that the law imposes unlimited fines for those convicted of criminal defamation. Penalties for defamation through the media are also greater, as are the penalties (three years in prison) if those defamed are performing "public, religious, or political duties." The truth of the statements would not necessarily serve as a defence, leading legal analysts to comment that the penal code would grant greater protection to public officials compared to everyone else. Media groups had tried to block the laws passage. In February 2006, the East Timor and Indonesia Action Network (ETAN) also sent a letter to then President Xanana Gusmao to ask him to veto the criminal defamation provisions contained in the country's new Penal Code. Argued the group: "One of the foundations of a democratic society is the ability of its people to speak truth to power. If Timor Leste's government tries to suppress such speech, we fear for the future of your democracy and for the future stability of your nation." The provisions were included in the Penal Code drafted by the Ministry of Justice despite the clear recommendation to East Timor's Commission on Reception, Truth, and Reconciliation (CAVR) not to criminalise defamation. At least, though, members of the Timor Post staff do not seem to be among those who have been intimidated by the new law. De Araujo, the papers coordinating reporter, does worry sometimes about the quality of their reports, but he says this is due more to other factors. The paper currently employs 15 reporters who have to share four computers. Each reporter is required to file three articles for the newspaper. This causes a bottleneck in the writing process, and leads to significant delays in preparing the paper and sending it to the press. The Post began operations in 2001, and relied heavily on funds from international donors for more than two years. These days, it is constantly trying to stay afloat through what it earns from selling copies of the paper (at 50 U.S. cents each, with a daily circulation of about 1,200) and advertising space. Chief editor Ximenes admits that their monthly revenues barely cover their overhead expenses. Language has also become a problem. From 2001 to 2005 the Timor Post published articles written in four languages: Tetum, Bahasa Indonesia, Portuguese, and English. Today most Post stories are in Tetum, one of East Timors two official languages. The other is Portuguese (East Timor used to be a Portuguese colony), but it is Bahasa Indonesia that is used for the foreign news section. But the language problem has other more direct manifestations that could seriously impede the basic practice of newsgathering for the Post. Tetum, for instance, does not have enough technical and scientific terms to describe very specific details that have to be conveyed by the media from time to time. De Araujo also says that he himself trips over his tongue and becomes perplexed when interviewing older Timorese bureaucrats who were educated in Portugal. Portuguese is no longer spoken widely in East Timor. At the Post, there is only one person who can understand Portuguese and thats chief editor Ximenes, who at 45 is at least two decades older than many of the papers reporters. Lack of skilled journalists is yet another of the papers difficulties. None of its reporters - more than half of whom are teenagers - graduated from a journalism course. Only a few have previous media work experience. The only journalism training that most of the current staff received is the annual basic journalism course the Post itself conducts. The paper holds a three-month training session for journalists each year. From the 30 to 35 trainees, the Post chooses a handful to invite to join the daily. Although they need more manpower, Ximenes says they cannot afford to hire more people. This is despite what de Araujo considers as very low salary being given to the papers reporters. New reporters at the Post receive from $90 to $100 a month. De Araujo receives the highest salary among the reporters at $160 per month. But in a country where a liter of bottled water costs $1, this is hardly enough to support himself and his family. For all its problems, however, it is business as usual at the Timor Post. As the evening approaches, the sound of motorbikes stopping in front of the newspapers office signals the arrival of reporters coming in from their respective beats. He does say that he initially considered asking for a temporary reassignment to the Posts district office in Baucau. But today he feels safe enough to head home on his own, back to the refugee tent he continues to shares with his family. Joseph Israel M. Laban is a senior producer at GMA-7. He wrote this piece as a participant in the 2007 Southeast Asian Press Alliance (SEAPA) Fellowship Program.